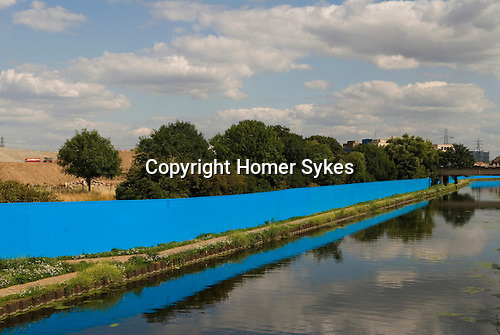 Blue Wall Boundary protective fence around site. From Eastway Bridge road Hackney London E9. East London Lea Valley site of the 2012 Olympic Games village and arena, Hackney England 2007. Boundary protective fence around site. From Eastway Bridge road Hackney London E9.